A decade-long legal battle by Sun Microsystems co-founder Vinod Khosla over private property rights versus public coastal access ended this month when the Supreme Court declined to hear the case, reports the Los Angeles Times. 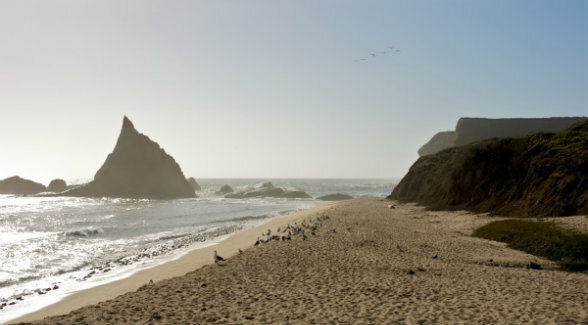 Central to the dispute: a stretch of coastline known as Martins Beach on an 89-acre property Khosla purchased for $32.5 million in 2008. Khosla blocked public access, saying that maintaining it came at a financial loss. Surfrider Foundation sued Khosla under the California Coastal Act. Khosla then filed suit against the county and state over what he considered interference of his property rights. A local court sided with Surfrider and a state appeals court upheld the decision. Kohsla had hoped his appeal to the high court would let his lawyers argue that private property should not be taken for use by the public without just compensation.